March >> madness, right? This is the season we spring forward into a season of mayhem in music. The sunny weather dawning about the country yields spring concert tours and music festivals galore and sparking these galas is the insane amount of new albums that drop this time of year. As we march into a new season of any music lover's favorite juncture, we are blessed with new releases from a plethora of artists like Foster The People, Taking Back Sunday, John Frusciante, We Are Scientists, Tokyo Police Club, etc. New LP's from each of these artists are definitely something to be excited about but pale in comparison to that level 311 brings with their new album Stereolythic. Every year 311 plays a special show on 311 Day - that is March 11th [3/11, get it? Ok.] and whether that show is in fabulous Las Vegas or on a cruise ship in the Caribbean, those lucky fans in attendance get to celebrate in a special way. This year the Omaha quintet allows the world to celebrate with the release of their 11th studio album since dropping Music on us over 20 years ago. It's quite impressive they've been around this long and even more so they've been 'Strong All Along'. 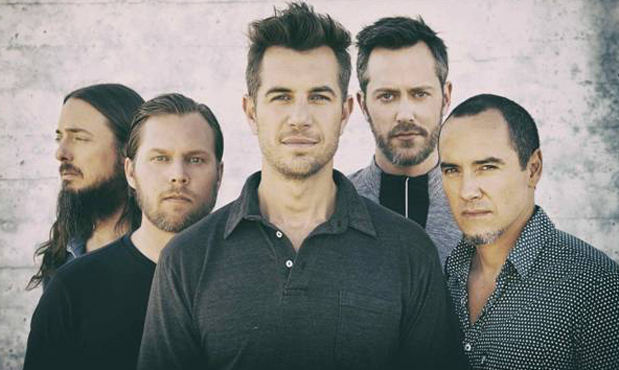 Even if you're not a 311 fanatic like yours truly, March is packed with new music from many a heavy-hitting artist. Peep the below list of the notable albums coming out this month. This entry was posted in music, new music, rando, shows and tagged 311, 311 cruise, 311 day, ashanti, black lips, braveheart, caribbean cruise, comeback kid, die knowing, enclosure, forcefield, foster the people, g i r l, george michael, girl, happiness is, imogen heap, john frusciante, johnny cash, kiss me once, kylie minogue, las vegas, lost in the dream, mastermind, music, out among the stars, pharrel williams, pharrell, pony boy, rick ross, shakira, sparks, stereolythic, strong all along, supermodel, symphonica, taking back sunday, the devil in me, the war on drugs, tokyo police club, tv en francais, underneath the rainbow, we are scientists. Bookmark the permalink.